The Catholic Funeral Liturgy is divided into three distinct parts, each with its own purpose. For that reason, we recommend following the complete structure and making use of each liturgical “moment” offered to a family. Generally a Service of the Word, with sacred scripture readings, accompanied by prayer, reflection, time for recalling the life of the deceased, and possibly a rosary. The central celebration of the family, friends, and the Christian community is the Funeral Mass, although when Mass cannot be celebrated, a Funeral liturgy Outside of Mass can take place. Ideally, a baptized person is buried in a Catholic cemetery, or parish cemetery or columbarium. A Catholic may be buried in a non- Catholic cemetery, when the ground is blessed for burial. When a deceased person is identified as Catholic, funeral home directors should contact the parish office or pastor at the earliest possible convenience to determine the availability of the church, an appropriate minister (priest for Mass, priest, deacon, or others for Vigil Service) and the necessary parish staff, particularly the music director. The date, time, and minister must be confirmed before a commitment to the family is made. The Funeral Vigil assists a family to begin the mourning process by gathering for a Service of the Word with features of prayer, remembrance, story-telling. A Vigil Service may be held in a funeral home, or in a church or chapel. The Funeral Mass must be held in a church or approved chapel (such as a chapel in a Catholic cemetery). Typically, the parish church is the site for a Funeral Mass. The Funeral Mass is the central liturgical celebration for the deceased, and this Eucharistic celebration must be carried out in a sacred place. Planning a Catholic Funeral Mass with a family is a gift of pastoral care. The parish should use its fullest resources to welcome and support a family in this difficult time. Regardless of the number of mourners expected, the Funeral Vigil, Funeral Mass, and Committal services should be offered. This raises awareness that mourners can express their sorrow, begin the initial adjustment to loss, and possibly experience gradual reconciliation. 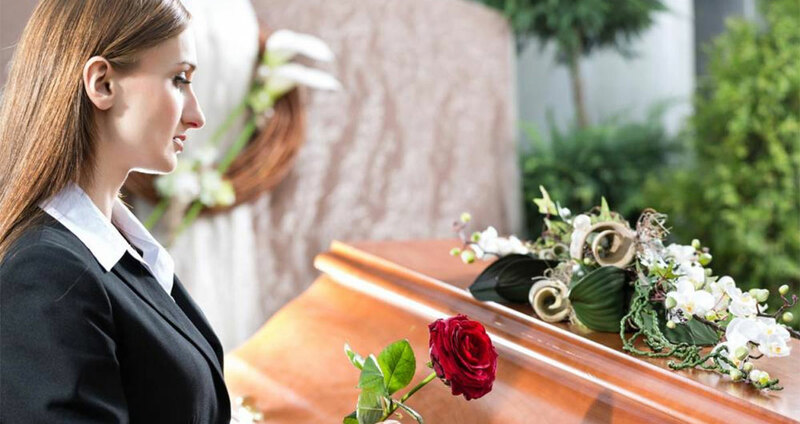 Circumstances may allow for a Funeral Liturgy Outside of Mass when a Catholic dies, especially if there are no other Catholic friends or relatives of the deceased. Recall, though, that the parish family may be the primary support for the deceased. In that case, a parish Funeral Mass is warranted. In the Diocese of Dallas, the Funeral Mass must be celebrated in a properly designated parish church, parish chapel, or another sacred Catholic chapel or oratory. No permission is granted for the Funeral Mass to be celebrated in a funeral home or funeral home chapel. A mausoleum chapel at a Catholic cemetery is considered to be a viable alternative to a parish church. The funerals of Catholics are governed by regulations contained within the Order of Christian Funerals (OCF) and Canon Law. Any request to celebrate a Funeral Mass in a place other than a designated Catholic sacred place must be made to the Office of the Bishop, before a Funeral Mass may take place. A Funeral Vigil service, however, may be celebrated in a funeral home chapel or another appropriate place for prayer and reflection. The United States Conference of Catholic Bishops (USCCB) requested from the Congregation for Divine Worship and the Sacraments an indult (special dispensation) to allow the presence of cremated remains of a body at a Funeral Mass. The USCCB received approval for this Indult on Cremation on 21 March, 1997. The Vatican’s position is that human remains, “even cremated, be accorded proper respect as befits the dignity of the human person and of baptized Christians.” The rites for burial of the cremated remains of a body may be found in the Appendix to the Order of Christian Funerals. This Appendix recommends that when cremation is chosen, the body be cremated after the funeral, thus allowing for the presence of the body at the Funeral Mass. When pastoral circumstances require it, however, cremation and committal may take place even before the funeral liturgy. This liturgy constitutes, nevertheless, a Funeral Mass rather than a “memorial” Mass. The Appendix to the Order of Christian Funerals can be obtained from the Office of Worship. When A Planning a Funeral Mass with a family is a gift of pastoral care and also a moment of evangelization for the family and the mourners who will attend. The parish staff should use its fullest resources to welcome and support a family in a difficult time. Regardless of the number of the mourners anticipated, the Vigil and related Rites should be offered, to assist a family in expressing their sorrow and to begin the initial adjustment to the fact of death. This raises awareness that mourners may also need to experience a gradual process of reconciliation. The Funeral Liturgy can be either within or outside of a Mass. The Church encourages the faithful to celebrate Mass when one of its members dies, but the ritual book for Christian funerals provides several pastoral choices, to adapt to local circumstances. It is advisable that the parish community be informed of the death, perhaps through an announcement at the Sunday Mass, and be invited to attend and pray with the family at the funeral. It is also recommended that the music planner, cantor, lectors, Communion ministers, and hospitality ministers are provided by parish, fully aware of their opportunity to provide seamless ministry and comfort for the family of the deceased. This care and concern can also foster evangelization. My (relative) hasn’t been to Mass in years, but s/he was baptized Catholic. Can we still celebrate a Catholic Funeral Mass? Every baptized Catholic is entitled to all three moments of a Christian funeral: the Vigil Service, the Funeral Mass, and the Rite of Committal. We cannot judge the state of grace of the deceased. The Church embraces all. Do we have to have a Funeral Vigil Service, or can we simply have a rosary recited by a group? A Funeral Vigil service is an opportunity for a family to begin the process of mourning and healing. It is also a time for the prayer and participation of those who are unable to attend the funeral. A rosary could be part of this, as an element included with a Funeral Vigil. Our family isn’t very “musical.” Who can help us select music for the Vigil service and/or the Funeral Mass? The parish music director, parish funeral planner, or a qualified cantor will meet with the family and assist with appropriate music selections. We want to have several eulogies at the Funeral Mass. Is there a time limit for each speaker? A Catholic Funeral Mass allows pastorally for a brief remembrance of the deceased. If other remembrances are offered, the best time and place is at the Funeral Vigil service. There is more flexibility at that service. Our Dad wants to keep our Mother’s ashes (cremains or cremated remains) at home for awhile, after the Funeral Mass. Is this allowed? The Church guides us to respect the cremated remains of a body, while allowing that keeping the cremated remains at home is not the reverent disposition that the Church requires. This is equally true of scattering cremains on the sea or from the air. La Liturgia Exequial Católica se divide en tres partes distintas, cada una con un propósito propio. Por ello recomendamos seguir la estructura completa y utilizar cada “momento” litúrgico ofrecido a una familia. Generalmente un Servicio de la Palabra con lecturas tomadas de la Sagrada Escritura acompañado de oración, reflexión, tiempo para recordar la vida del difunto y posiblemente un Rosario. La celebración central de la familia, amigos y la comunidad Cristiana es la Misa Exequial. Aun cuando la Misa no pueda ser celebrada, se puede llevar a cabo una Liturgia Exequial Fuera de la Misa. Idealmente, una persona bautizada es sepultada en un cementerio Católico o un cementerio parroquial o columbario. Un Católico puede ser sepultado en un cementerio no-Católico cuando la tierra es bendecida para el entierro. Cuando un difunto es identificado como Católico, los directores de casas funerarias deben comunicarse con la oficina parroquial o el sacerdote, lo más pronto posible, para determinar la disponibilidad de la iglesia, un ministro apropiado (sacerdote para la Misa; sacerdote, diácono u otros para el Servicio de Vigilia) y el personal parroquial necesario, especialmente el director de música. La fecha, hora y ministro deben ser confirmados antes de establecer un compromiso con la familia. La Vigilia por un Difunto ayuda a que una familia comience el proceso de duelo, reuniéndola en un Servicio de la Palabra con elementos de oración, remembranza y narraciones. Un Servicio de Vigilia puede ser realizado en una casa funeraria, en una iglesia o en una capilla. La Misa Exequial debe celebrarse en una iglesia o capilla aprobada (tal como, una capilla en un cementerio Católico). Por lo general, la iglesia parroquial es el sitio para una Misa Exequial. La Misa Exequial es la celebración litúrgica central para los difuntos y dicha celebración Eucarística debe realizarse en un sitio sagrado. del número de dolientes que asistirán, deben ofrecerse la Vigilia de un Difunto, una Misa Exequial y los Servicios de Sepelio. Esto ayuda a que los dolientes puedan expresar su dolor y comiencen el ajuste inicial a la pérdida y posiblemente experimenten una reconciliación gradual. Cuando un Católico muere, existen ciertas circunstancias que pueden permitir que una Liturgia Exequial se realice Fuera de la Misa, sobre todo si no hay amigos o parientes Católicos. Sin embargo, hay que recordar que la familia parroquial puede ser el principal apoyo para los difuntos. En ese caso, se garantiza una Misa Exequial parroquial. La sepultura de los restos cremados o del cuerpo del difunto debe hacerse en un sitio sagrado. Sin embargo aunque esta es la preferencia, la iglesia no exige hacerlo en un cementerio Católico. El cuerpo o los restos cremados pueden ser sepultados en una tumba o depositados en un mausoleo o columbario. A un Católico no le está permitida la práctica de dispersar los restos cremados (cenizas) en el mar, en el aire o sobre el suelo. Mantener los restos cremados “en casa o en casa de un familiar o amigo no es la disposición reverente que exige la Iglesia” (REC, n. 416). (La Oficina para el Culto de la Diócesis o el párroco pueden explicarle cómo enterrar apropiadamente los restos en el mar, en una urna, ataúd u otro recipiente). En la Diócesis de Dallas, la Misa Exequial debe ser celebrada en una iglesia parroquial, capilla parroquial u otra capilla u oratorio Católico sagrado debidamente designado. No se conceden permisos para que la Misa Exequial sea celebrada en una casa funeraria o en la capilla de una casa funeraria. Una capilla de un mausoleo en un cementerio Católico se considera una alternativa viable de una iglesia parroquial. Los funerales de Católicos son regidos por las regulaciones contenidas en el Ritual de Exequias Cristianas (REC) y el Derecho Canónico. Cualquier petición para celebrar una Misa Exequial en un lugar que no sea un sitio sagrado Católico designado debe hacerse a la Oficina del Obispo antes que una Misa Exequial pueda llevarse a cabo. Sin embargo, un Servicio de Vigilia por un Difunto puede celebrarse en una capilla funeraria o en otro sitio apropiado para la oración y reflexión. La Conferencia de Obispos Católicos de los Estados Unidos (USCCB) solicitó a la Congregación del Culto Divino y de la Disciplina de los Sacramentos un indulto (dispensa especial) para permitir la presencia de los restos cremados de un cuerpo en una Misa Exequial. La Conferencia Episcopal recibió la aprobación para dicho Indulto para Cremación el 21 de marzo de 1997. La posición del Vaticano es que a los restos humanos, “incluso cremados, debe concedérseles el respeto apropiado que corresponde a la dignidad de la persona humana y de los Cristianos bautizados”. Los ritos de sepelio de los restos cremados de un cuerpo pueden encontrarse en el Apéndice del Ritual de Exequias Cristianas. Dicho Apéndice recomienda que cuando se elige la cremación, el cuerpo sea cremado después del funeral para que permita la presencia del cuerpo durante la Misa Exequial. Sin embargo, cuando circunstancias pastorales lo requieren la cremación y el sepelio pueden realizarse incluso antes de la Liturgia Exequial. Dicha liturgia constituye, sin embargo, una Misa Exequial en lugar de una Misa “memorial”. El Apéndice del Ritual de Exequias Cristianas puede ser obtenido en la Oficina de Culto Sagrado. La Planeación de una Misa Exequial con una familia es un don del cuidado pastoral y un momento de evangelización para la familia y los dolientes que asistirán. El personal parroquial debe agotar todos sus recursos para recibir y apoyar a una familia durante este momento difícil. Independientemente del número de personas que asistirán, se debe ofrecer una Vigilia y los ritos relacionados a ésta para ayudar a una familia a expresar su dolor y comenzar el ajuste inicial al fallecimiento. Esto crea conciencia que los dolientes también pueden tener la necesidad de experimentar un proceso de reconciliación gradual. La Liturgia Exequial puede realizarse dentro o fuera de una Misa. La Iglesia exhorta a los fieles a celebrar una Misa cuando muere uno de sus miembros, pero el Ritual de Exequias Cristianas ofrece diversas opciones pastorales para adaptarse a las circunstancias locales. Se aconseja que la comunidad parroquial sea informada de la muerte, quizás a través de un anuncio en la Misa Dominical, y sea invitada a asistir al funeral y a orar con la familia. Asimismo es recomendable que el planeador de música, cantor, lectores, ministros de Eucaristia y hospitalidad sean proporcionados por la parroquia, plenamente conscientes de la oportunidad de brindar un ministerio continuo y consuelo a la familia del difunto. Este cuidado y preocupación también pueden fomentar la evangelización. Mi (familiar) fue bautizado Católico pero no ha asistido a Misa en años. ¿Aun así podemos celebrar una Misa Exequial Católica? Todos los Católicos bautizados tienen derecho a los tres momentos de un funeral Cristiano: el Servicio de Vigilia, la Liturgia Exequial y el Rito de Sepelio. No podemos juzgar el estado de gracia de los difuntos. La Iglesia los acoge a todos. ¿Debemos tener un Servicio de Vigilia por un Difunto, o podemos simplemente rezar un Rosario en grupo? Un Servicio de Vigilia por un Difunto ofrece, a una familia, la oportunidad de iniciar el proceso de duelo y sanación. Asimismo es un tiempo de oración y participación de quienes no pueden asistir al funeral. Un Rosario podría ser un elemento incluido en una Vigilia por un Difunto. Nuestra familia no es muy “musical”. ¿Quién puede ayudarnos a elegir la música para el Servicio de Vigilia y/o Misa Exequial? El director parroquial de música, el planeador parroquial de funerales o un cantor competente se reunirá con la familia y les ayudará a seleccionar la música apropiada. Queremos tener varios elogios durante la Misa Exequial. ¿Existe un límite de tiempo para cada persona? Una Misa Exequial Católica permite recordar brevemente a los difuntos. Si se ofrecen remembranzas, el mejor momento y lugar es durante el Servicio de Vigilia por un Difunto ya que hay más flexibilidad en dicho servicio. Nuestro padre quiere que después de la Misa Exequial guardemos las cenizas de nuestra madre (cenizas de cremación o restos cremados) en casa durante un tiempo. ¿Está permitido? La Iglesia nos aconseja respetar los restos cremados de un cuerpo. Permitir que mantengamos los restos cremados en casa no es la disposición reverente que requiere la Iglesia, tampoco lo es dispersar las cenizas en el mar o en el aire.